Easter, the day our Savior arose from the dead. A glorious day for all Christians is often reduced to the secular influences of our society. Easter bunnies and chocolate eggs are what many think of when they hear the word Easter. How do we make the holiday Christ-centered? 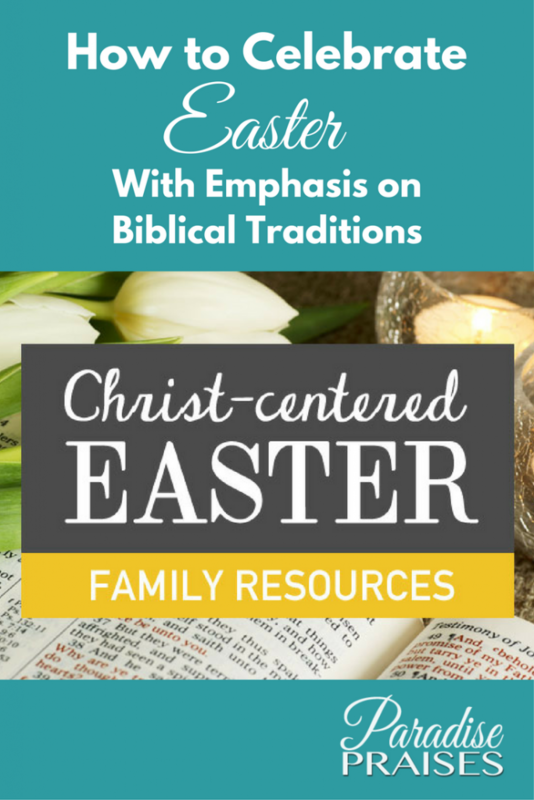 Recently we discussed many of the traditions associated with Easter in modern society in our post, 4 Popular Easter Traditions Explained (Free Printable). While these activities are fun for kids and other members of the family, it is important to have Christian traditions with children too. Traditions that help them remember the sacrifice made by Jesus and how Easter means eternal life for us. The activities we do with children not only create lasting memories but builds a foundation of faith they can build on. But how do you keep those important aspects at the top of mind for your family? kid's coloring pages, and more. I loved the fact that it included specific activities for each age group from pre-school through teens. Plus the bonus materials are appropriate for all ages. 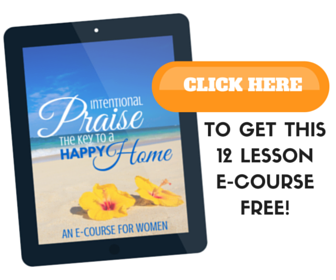 The cost of the Family Easter Resources Package is $29.99 and you can use much of the content over and over year after year. Easter is an incredible opportunity for us to bless our kids with a full understanding of the REAL Easter story! 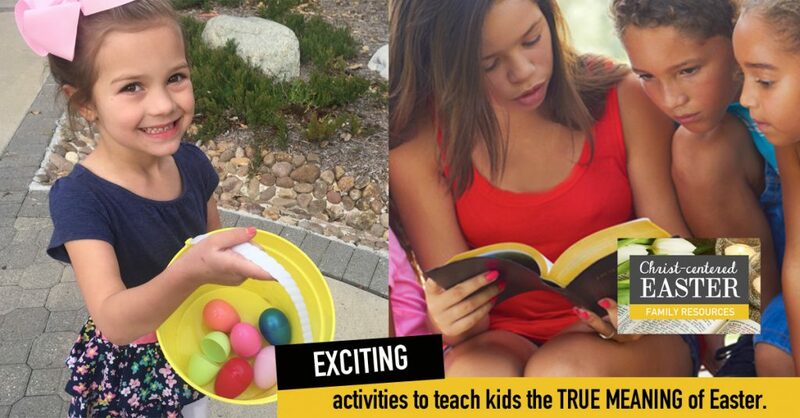 I plan to use many of these activities to celebrate Easter and keep my kids focused on Christ during the Easter season. How do you keep Easter Christ-centered?